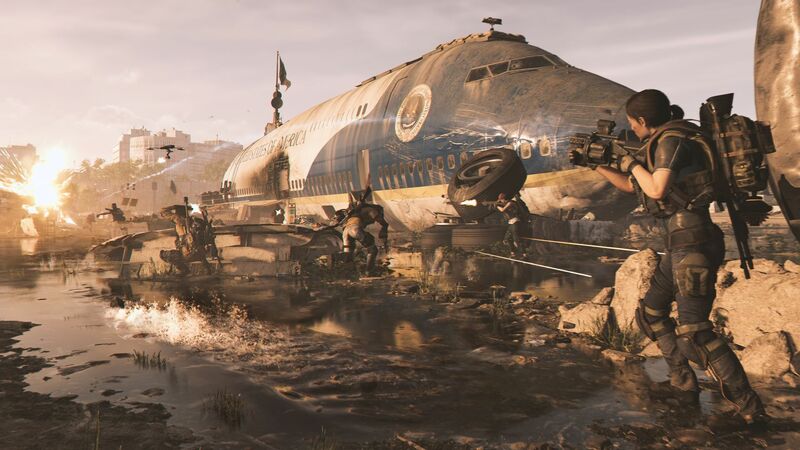 Ubisoft Massive is taking gamers to Washington, DC., eight months after the Green Poison swept through New York City and crippled the world. The capital of the USA is on the brink of collapse as a variety of factions have taken control of the streets. Among the chaos, the president of the United States has gone missing and the SHD network connecting individual nodes around the country has gone down. Division agents from the surrounding areas have been summoned to DC to help restore order to the streets and bring back the SHD network. Tom Clancy’s The Division 2 is a self-contained story set in the same universe as the first game. The story is structured so new players can hop in without feeling lost, while old players will be able to get some updates on the situation in New York City through collectibles spread throughout the world. The main story is straight forward. The twists are generally predictable, but the plot keeps the game moving at a good pace. The more impressive feat is the rich world the writers have created. 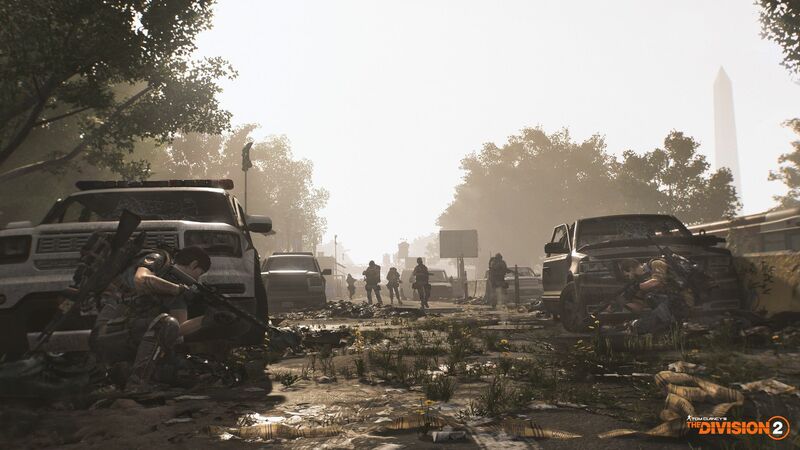 The side missions and collectibles create a detailed world that gives players a sense of accomplishment as the quality of life slowly improves with the player’s help. 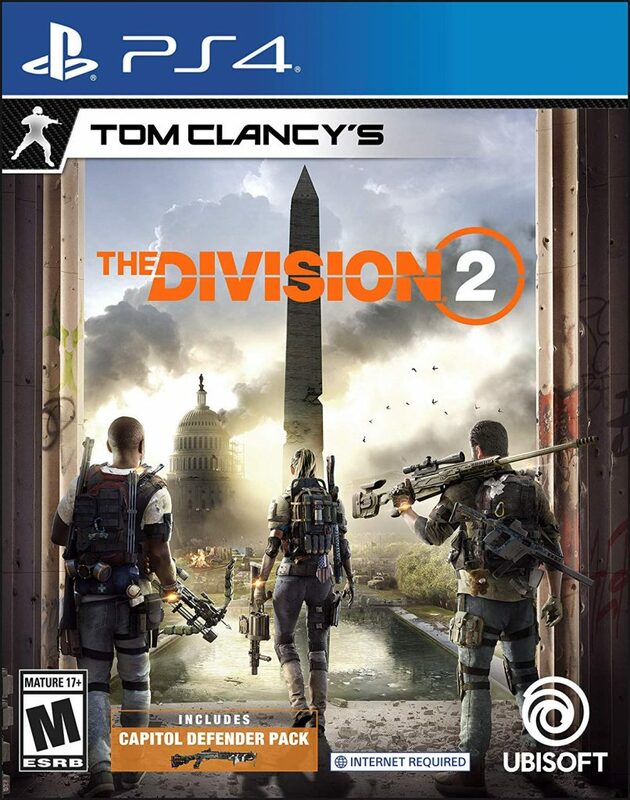 Tom Clancy’s The Division 2 is a third person cover shooter and RPG. The gunplay strikes a nice balance between skill and RPG mechanics. Recoil is more arcade-like, while incoming damage is more realistic. Players will need to use cover as incoming damage will quickly incapacitate. Damage and handling characteristics are mostly managed through character and weapon stats; however, high skill players will be rewarded as headshots still deal bonus damage and there are plenty of high damage, high recoil weapons. The mission design is generally straight forward. Main and side missions task players with attacking enemy controlled areas, usually fighting off a wave or two before moving on to the next area. The odd puzzle is thrown into side missions, while main missions tend to embrace a dungeon-style design which tries to keep the action going at a quick clip. The strong narratives in the mission and the challenging levels stop the missions from getting boring, even though the actions are generally predictable. The world events provide a little more variety, offering randomly generated bounties and objectives around the DC. The skill system is fantastic. Players can choose two skills based on eight available items, each with three to four variants. The skills are well designed and fill clear niches in PVE and PVP. A few falls flat and will need some tweaking in future patches, such as the underpowered nature of the Firefly and the chem launcher’s slightly picky hit detection. None of the equipment ever hit a point where they are broken beyond repair, but rather were so mediocre that there are better options to fill a similar niche. The item system has seen some significant improvements. Weapon modifications are now unlimited use after an initial craft, behaving more like an enchantment to adjust weapon stats in a predictable way. Almost all wearable equipment has their own manufacturer from the start, with multiple items from a single manufacturer offering increasing bonuses. Equipment and skill modifications are stored separately, clearing up space in the inventory and providing players more ways to refine their build. In the beginning of the game, players can get away with putting on the highest level equipment they can without putting much consideration on finishing sets and keeping an eye on stats, but that all changes at the end game. The jump feels a bit sudden, so I would have preferred to see players encouraged to gear better a bit earlier in the game. 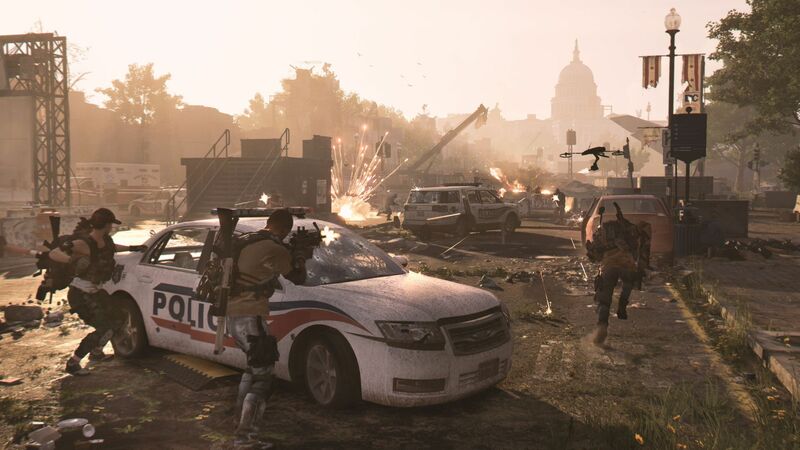 There is plenty of content in Tom Clancy’s The Division 2. The main and side missions are enough to just push most players to max level without spending too much time doing world events. The world map is incredibly well done, with plenty of nooks and crannies with loot to discover. There never feels like there is a dead space in the map. Players looking for a distraction can also check out PVP and the Dark Zone. PVP is a pretty standard four versus four layout that is reminiscent of Tom Clancy’s Ghost Recon Wildland’s multiplayer. Matches are usually short, with a higher focus on positioning, tactics, and communication than pure skill. The Dark Zone is more refined compared to what was available at launch in the first game. It still offers tense, player versus player versus environment combat, but players have a lot more control over their actions. Players must consciously make the choice to go rogue, so there are no more accidental friendly fire incidents. High quality equipment in the Dark Zone has a chance to drop as contaminated, requiring players to risk calling in a helicopter extraction and alerting every player in the area that loot is up for grabs. Even if enemy players don’t show up, NPCs will attack the extraction point, making for tense encounters. For less PVP-oriented players, the availability of non-contaminated loot that can’t be stolen gives players a little more reason to head into the Dark Zone, which makes the environment more like the developer’s original vision for the area where players are constantly in a tense partnership fighting against NPCs versus a kill on sight free for all. At the same time, there are more rewards for going rogue beyond stealing loot now with the Thieves’ Den. Dedicated PVPers are able to find a rogue-only safe zone with backpacks that can be unlocked with the right Dark Zone skill. The end game in Tom Clancy’s The Division 2 is significantly improved over the first game. Upon beating the game, end game specializations are made available, hard mode versions of several dungeons are unlocked, world activity rates are boosted, and sectors are constantly under attack. The specializations give players a more focused progression system and a special weapon with extremely limited ammunition. The increased amount of open world content and the control mechanics breathes new life into the map, offering a feeling of direction and accomplishment to the usual end game loot grind. 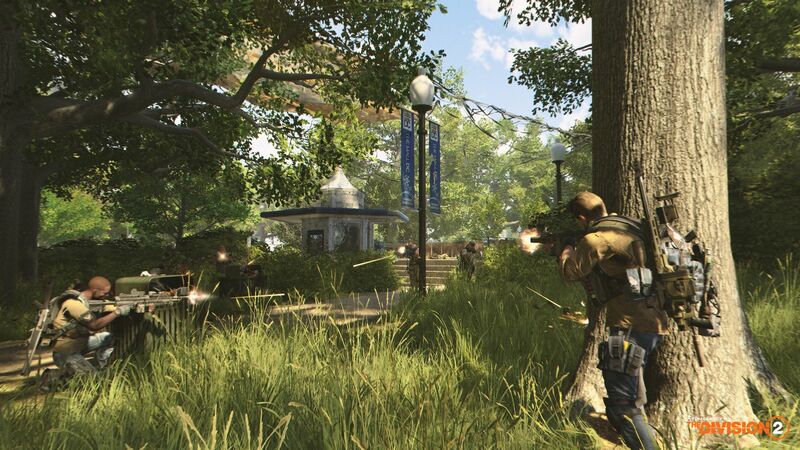 While The Division 2 doesn’t feel too different from the first game mechanically, it feels significantly more polished. There are tons of small quality of life improvements in the game that make it clear the developers really acted upon the criticism they received from The Division 1. The menus are very easy to navigate and plenty of tweaks have been made for PC players especially. Special mention is in order for the amount of accessibility options available for The Division 2, as it stretches far past the usual colour-blind modes and subtitles found in most AAA titles. For example, there are options for switching controls for left handed players, text to speech options for chat, and tons of options for adjusting the UI. My only complaint is that some of the menu keys can only be rebound in the user config files and the enter key cannot be changed at all. The visuals are excellent. The new map is gorgeous, offering a mix of urban parkland and heavily built up areas that are all slowly being reclaimed by nature. The changes to the map always feel natural, without any odd, jarring transitions. While there are clear parallels between the two game’s factions, the new factions are still visually unique from the previous title. The animations and models are high quality, looking natural and detailed. The audio experience is solid. The music is enjoyable, giving the game a tense atmosphere. The sound effects are well done. The voice acting is very good. All the actors, no matter their role, deliver a solid performance. Tom Clancy’s The Division 2 is a well polished and refined game. Not only is the leveling up experience enjoyable, the end game has plenty of content to keep players on the loot grind without feeling bored. The game will be a contender when it comes time to determine 2019’s game of the year. 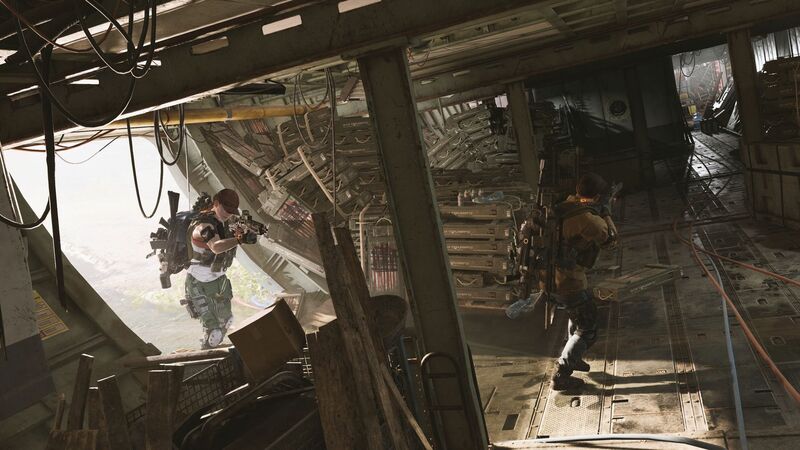 Tom Clancy’s The Division 2 takes an already solid first game, adds a ton of great new content and polishes it to a mirror shine.